Happy December! As we start the official Holiday Sales period and spring towards Christmas, watch for new deals on DNA test kits, genealogy books and webinars and more! 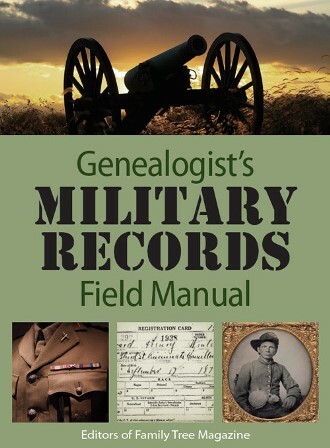 What’s New Today at Genealogy Bargains? Each of the Big 5 vendors (23andMe, AncestryDNA, Family Tree DNA, Living DNA and MyHeritage DNA) are still offering major savings during the holiday season compared to normal prices. Some are also offering free shipping and other incentives. 23andMe: Take 30% off + FREE gift wrapping during the 23andMe Holiday Sale at 23andMe. 23andMe for Ancestry, regularly $99 USD, now just $69 USD. 23andMe DNA for Health + Ancestry, regularly $199 USD, now just $139 USD. Sale valid through Tuesday, December 25th. Amazon: FREE SHIPPING for Amazon Prime Members on DNA test kits including 23andMe, AncestryDNA, Family Tree DNA, Living DNA and MyHeritage DNA. AncestryDNA: AncestryDNA just $59 USD during AncestryDNA Holiday Sale. BONUS! Buy 3 get 1 FREE! Sale valid through Monday, December 24th. AncestryDNA Canada: AncestryDNA Canada – just $89 CDN during AncestryDNA Christmas Sale! Sale valid through Monday, December 24th. AncestryDNA UK: Save 20% during AncestryDNA Christmas Sale! Sale valid through Monday, December 24th. Family Tree DNA: Family Finder only $49 USD during Family Tree DNA Holiday Sale! Huge discounts on Y-DNA, mtDNA and bundles too! Sale valid through Monday, December 31st. $89 CAD, £69, €79 and $119 AUD during Findmypast DNA Christmas Sale! Sale valid through Monday, December 17th. Helix: Save up to 50% on National Geographic DNA Test Kit: Geno 2.0 Next Generation via Amazon! Living DNA: Save up to 30% during Living DNA Christmas Sale! Regularly $99 USD, now just $79 USD. Purchase 2 or more kits for $69 USD each! Sale valid through Monday, December 24th. MyHeritage: MyHeritage DNA just $59 USD during MyHeritage DNA Early Holiday Sale. Plus FREE SHIPPING when you purchase 2 or more kits! In addition, Canada $79 CAD and UK £59. Sale valid through Wednesday, December 12th. Vitagene: Save up to 40% on Health Reports during Vitagene Holiday Sale. Use your DNA test data from 23andMe, AncestryDNA and MyHeritage DNA! Click HERE to read my recent review! Health Report for diet, fitness & supplementation. Regularly $49 USD, now just $29 USD. Amazon: Save up to 50% on The Family Tree Toolkit by Kenyatta Berry! 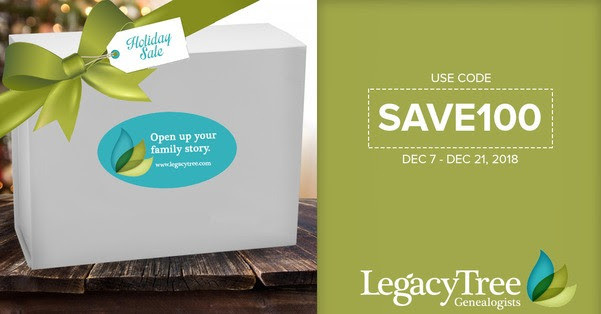 Legacy Family Tree: Save 15% on a Legacy Family Tree Webinars Annual Membership! Regularly $49.95, pay just $42.46 when you use promo code thomas15 at checkout. RootsTech: Save $100 USD on RootsTech 2019 All Access Pass during RootsTech Holiday Special – use promo code 19HOLIDAY – offer valid through Sunday, December 23rd! Ancestry: Save 20% on Ancestry Gift Memberships during the Holiday Sale. Valid through Monday, December 24th. Amazon: Save 25% on Epson Perfection V39 Color Photo & Document Scanner and other scanners! iDrive: 90% off iDrive automatic online backup! Regularly $69.50 USD per year, you get the first year of 2TB cloud storage for just $6.95 USD! Once you’ve scanned all those family photos, you need to have a data backup right? This is a “set it and forget it” program like Carbonite but much better: you can backup your mobile devices and even Facebook images! Picture Keeper: Save up to 72% on Picture Keeper! Picture Keeper is an amazing device that looks like a simple USB flash drive but it is so much more. Yes, you could buy a cheap flash drive and take the DIY approach but Picture Keeper has an automated system of making sure ALL of your photos are backed up! 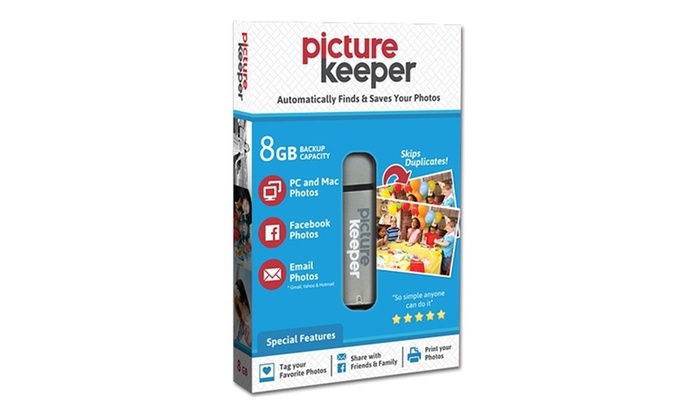 Right now you can get the 8GB Picture Keeper with 4,000-Photo Capacity, regularly $59.99 USD, for just $16.99 USD! Sale prices also apply to the 4GB, 16GB and 32GB sizes. Sale valid through Monday, December 10th. Amazon: Save BIG on Data Storage Deals at Amazon! Amazon: Save 47% on Klikel Family Tree Display with 10 Hanging Picture Photo Frames – a great holiday gift! Regularly $76.15 USD, now just $39.99 USD! HURRY these always sell out fast! NEW! 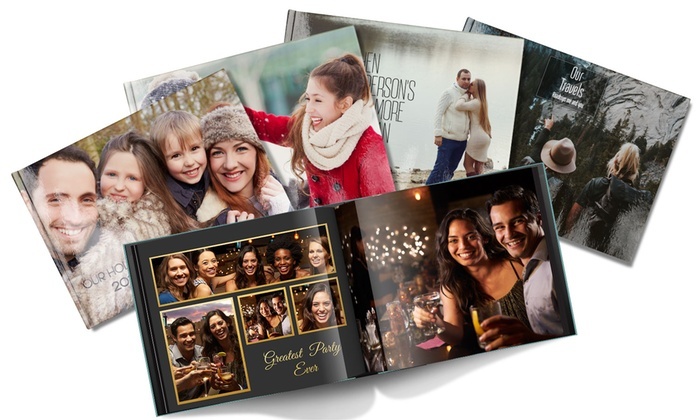 PrinterPix: – Save up to 95% off on 11″ x 8.5″ Personalized Hardcover Photo Books from Printerpix!